A young girl who wields a boomerang in the defence of her town from the military or anyone who seeks to intervene. She is known to the residents of Duomo as Kuni-Chan. She is seen wearing a school girl outfit and seems a bit rambunctious. 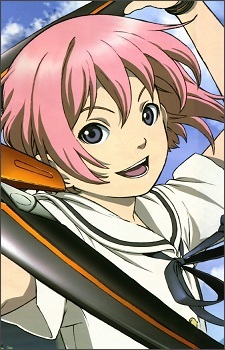 In the beginning she is held by Atlas in the women's detention centre, but is released to Momoko, Mi-ko, and Takehiko. She is the future head of Metal Age, although she doesn't want to be, they are an anti-government organisation. Lady Ryoko refers to her as the sun. She is also known as Digma 2.